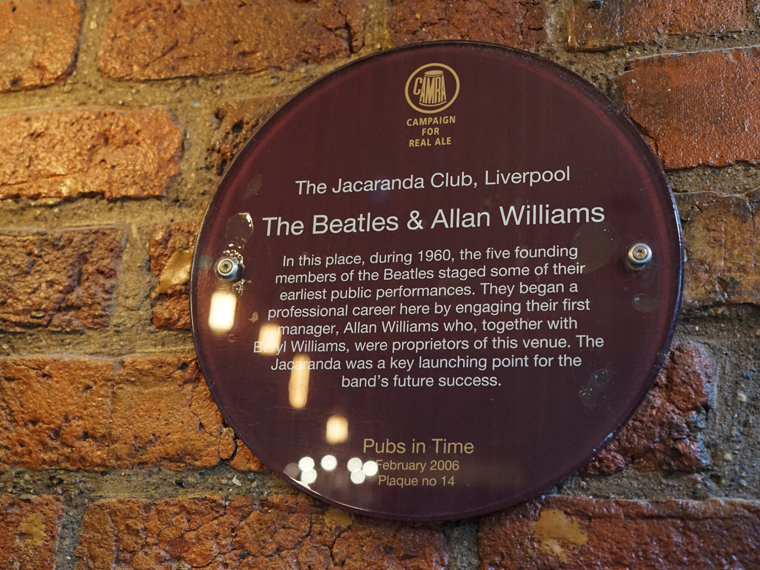 Opened in the late 1950s as a coffee bar by local businessman and promoter Allan Williams, the legendary Jacaranda club in Liverpool is steeped in Beatles history. The venue has lived through many incarnations over the years but is still going strong today working hard to uphold many of the same values as those set by its original owners. Back in the 50s the Jacaranda provided local teens with an environment to hear modern, American-influenced music, and to socialise without the watchful eyes of parents or schoolteachers. The Italian espresso machine was an exciting innovation in post-war Britain, which along with a jukebox and live performances provided a popular, cool and colourful atmosphere. 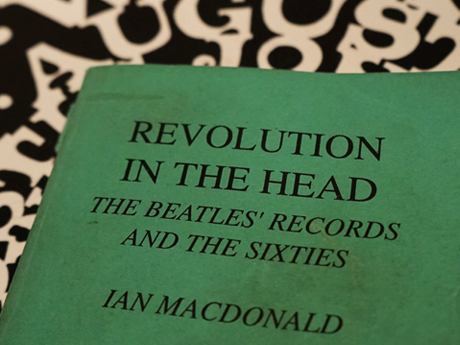 The Beatles were frequent customers, with John Lennon and Stuart Sutcliffe attending the nearby Liverpool Art College and Paul McCartney studying at the adjacent Liverpool Institute. The band were called ‘The Silver Beetles’ back then and after asking Williams for a chance to perform at the venue, the owner put the lads to work redecorating in return for allowing them to use the basement as a rehearsal studio. Without those hours of rehearsal time it’s possible that the lads may not have become The Beatles and the stars that we know today. The Silver Beetles performed around a dozen times at the venue and were paid with beans on toast and Coca-Cola. They’d fill in for the normal house band, The Royal Caribbean Steel Band every Monday night. It was this relationship with Allan which led to the band asking him to become their manager, and eventually to their first tour of Hamburg in August 1960. Lord Woodbine, who fronted the Caribbean Steel Band also accompanied John, Paul, George, Pete and Stuart on this trip to Hamburg. 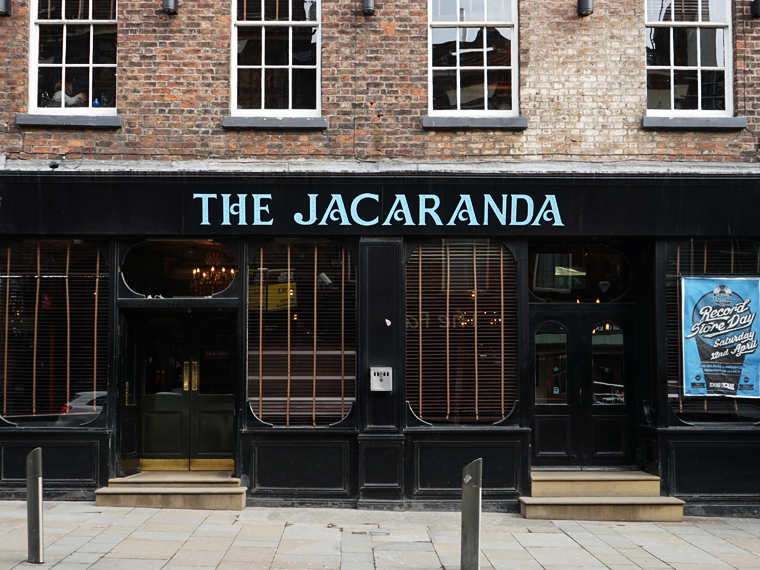 The Jacaranda was actually one of the first integrated venues in Liverpool, and according to David Bedford’s interview with Pete Best, it was also the place where John Lennon first introduced the band as ‘The Beatles’ before Hamburg. After a mysterious closure in 2011 amidst a changing Liverpool nightlife landscape, many wondered if there was a future for the iconic club. It did however reopen three years ago with a new record store and coffee shop, reasserting its position as one of the city’s finest and most interesting venues. 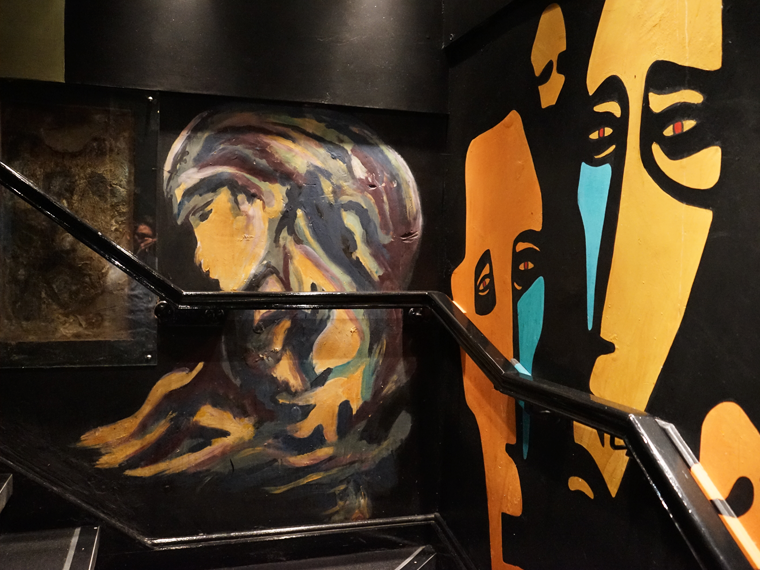 The club is spread across three floors of music-lover’s heaven. The basement, as it was back in the 50s, is a rehearsal and live performance space, hosting the grass-roots of Liverpool’s music community and giving bands the opportunity to practice on the promise that they perform in the evening, if they’re good enough. Even the murals painted by The Beatles have been restored and still adorn the walls, so many bands would relish the opportunity to rehearse in the same room as the Fab Four (or five) did. The ground floor remains a traditional bar, serving a wide range of cocktails and beers with a jukebox soundtrack, and although the jukebox isn’t the original there’s still a great selection available including The Beatles, whose pictures are hung throughout. 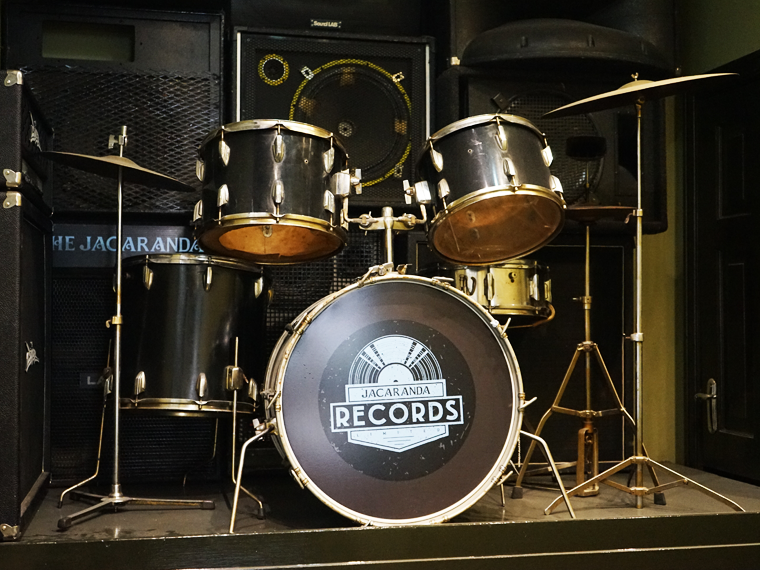 The club’s best feature however is on the first floor in the form of Jacaranda Records. As you climb the stairs past Norman Chapman’s drum kit (who was in The Silver Beetles for a short while) you reach a record store and coffee shop with a difference. 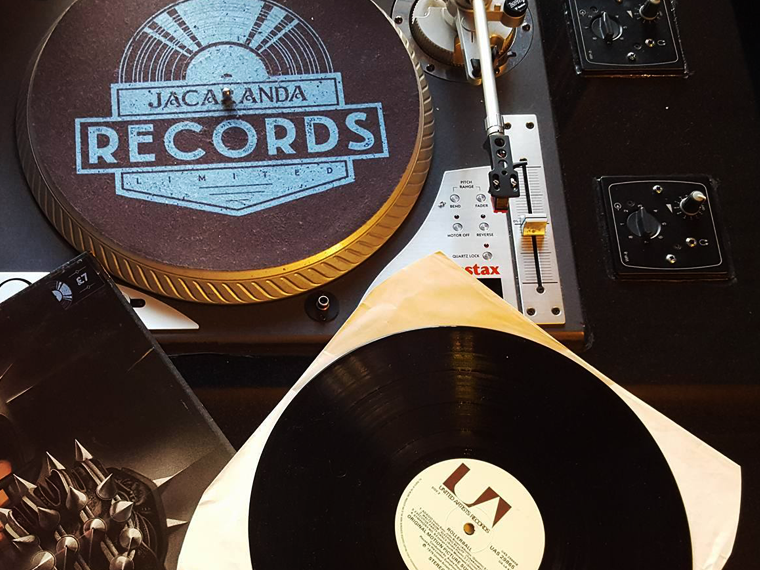 With four specially crafted listening booths, Jacaranda Records again pays homage to the old vision, rekindling the social aspect and thrill of discovering new music. 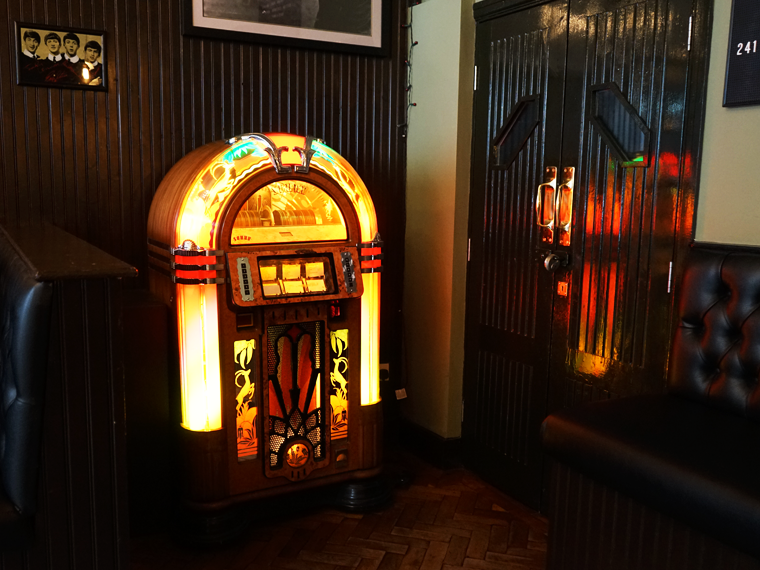 Customers can choose from an extensive collection of vintage, new and Liverpool vinyl to play on one of the four turntables set into each of the booth’s granite tables. 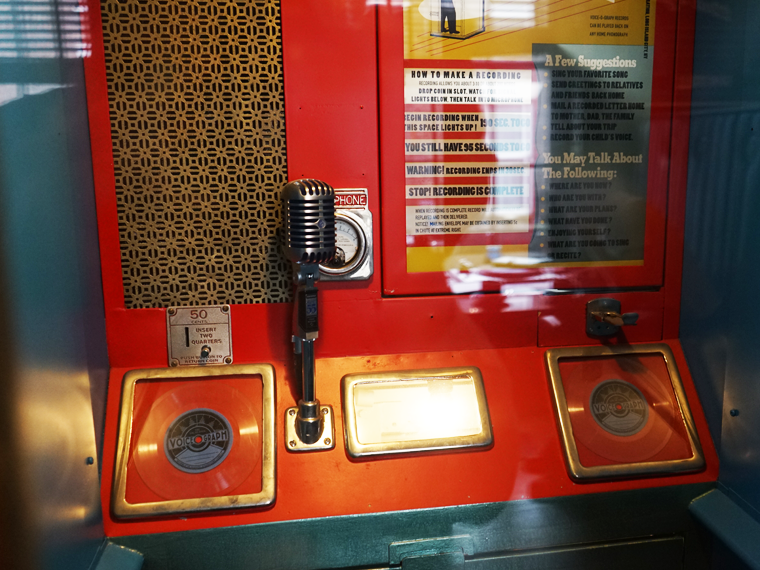 The centerpiece of the record store is the restored 1948 Voice-O-Graph booth which, although not in fully working order, would allow customers to make their own record and press it directly to vinyl. Sadly the booth requires some work but if you’re reading this and have the right expertise please do get in touch. The Voice-O-Graph is one of only three remaining booths in the world open to the public, and the only one permanently available in Europe. It would be great to see this up and running again, just imagine all of those Beatles covers! 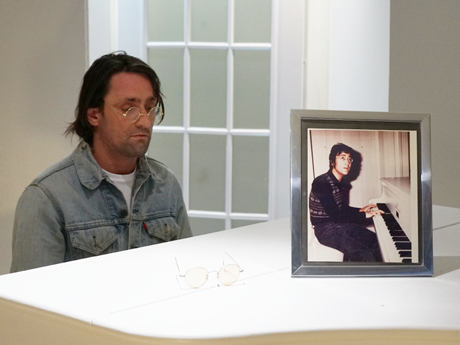 The owners of the Jacaranda are clearly passionate about music. 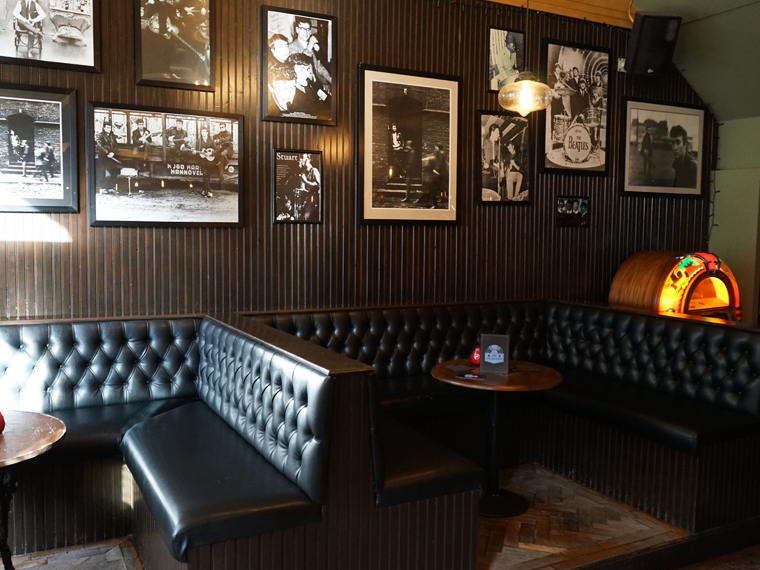 A devotion that began with the freewheeling ideals of post-war Liverpudlians and culminated in the Fab Four still lives on inside the cosy confines of this Slater Street venue. 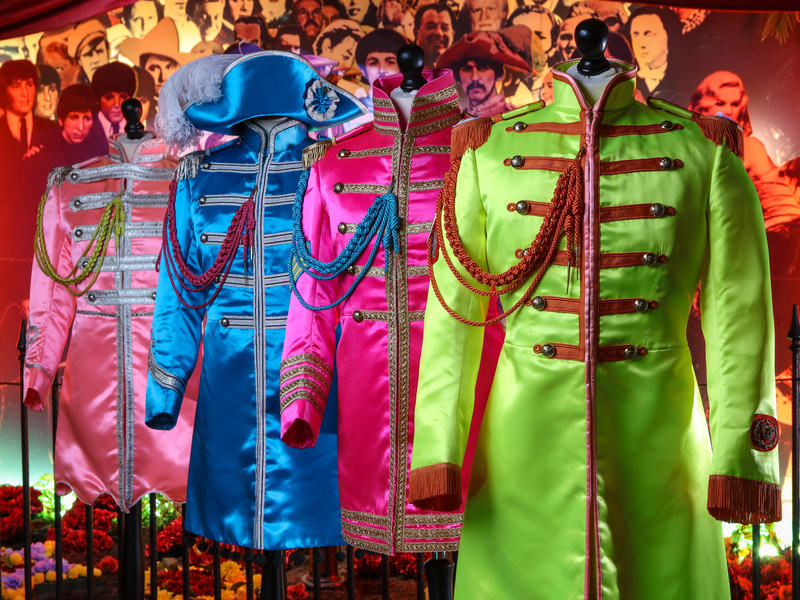 It’s a place to enjoy classic music and to discover new sounds; a must visit for any Beatles fan travelling to Liverpool.